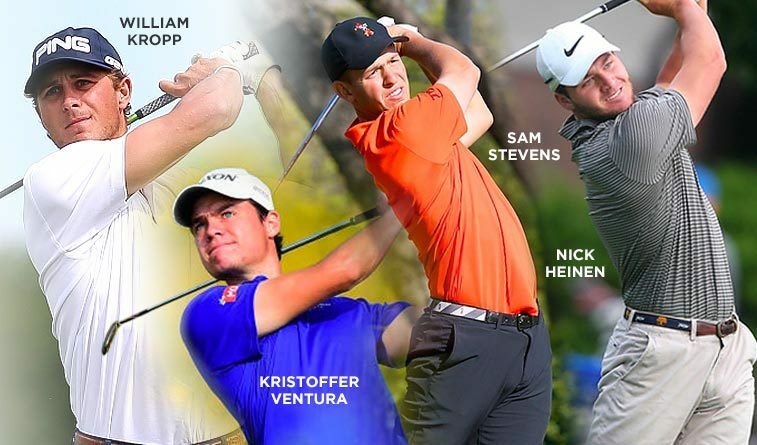 Former Oklahoma State golfers Sam Stevens, Kristoffer Ventura and Nick Heinen advanced through the first stage of Web.com Tour qualifying at Firewheel at Garland Bridges in Garland, Texas, held Wednesday through Saturday. Stevens, of Wichita, shot a final-round 63 to finish at 16 under and tied for fourth, Ventura, of Norway, shot a final-round 65 and tied for eighth at 15 under, while Edmond North grad Heinen shot closed with a 6-under 65 to nab one of the final of the 24 qualifying spots at 11-under. William Kropp of Edmond, who has played professionally for several years, tied with Stevens at 16-under, helped by a second-round 62. Not advancing were former Sooner Max McGreevy, tied for 38th at 5-under, former Cowboy Stratton Nolen, tied for 50th at 2-under, and current Oklahoma Open champion Casey Fernandez of Durant, 61st at 1 over. Below is the schedule for the remainder of the Web.com Tour qualifying. • Nebraska City, Nebraska (ArborLinks). • Lakeland, Florida (Grasslands G&CC). • Dothan, Alabama (Highland Oaks). • Dayton, Nevada (Dayton Valley GC). • Kannapolis, North Carolina (The Club at Irish Creek). • Pine Mountain, Georgia (Callaway Gardens). • San Diego, California (The Crosby). • St. George, Utah (SunRiver GC). • The Woodlands, Texas (The Woodlands CC). • West Palm Beach, Florida (The Preserve at Ironhorse). • Murrieta, California (Bear Creek GC). • Brooksville, Florida (Southern Hills Plantation Club). • McKinney, Texas (TPC Craig Ranch). • Mobile, Alabama (Magnolia Grove-Crossing). • Plantation, Florida (Plantation Preserve GC).